Again in 2019, the All Saints Chorus escaped the winter city for a weekend away of concentrated note bashing. This year we fought our way through blizzard conditions (well some of us did), to reach the oasis of calm at Ashburnham Place , near Battle in East Sussex. The weekends have always been popular with both singers, and family and friends; a brief escape from the hectic city and some of the winter gloom. In previous years we have used other venues, but this is our first year at the large Christian Centre based in an historic country house. We were warmly welcomed by the staff and made very cosy with our own lounge and an excellent rehearsal room. 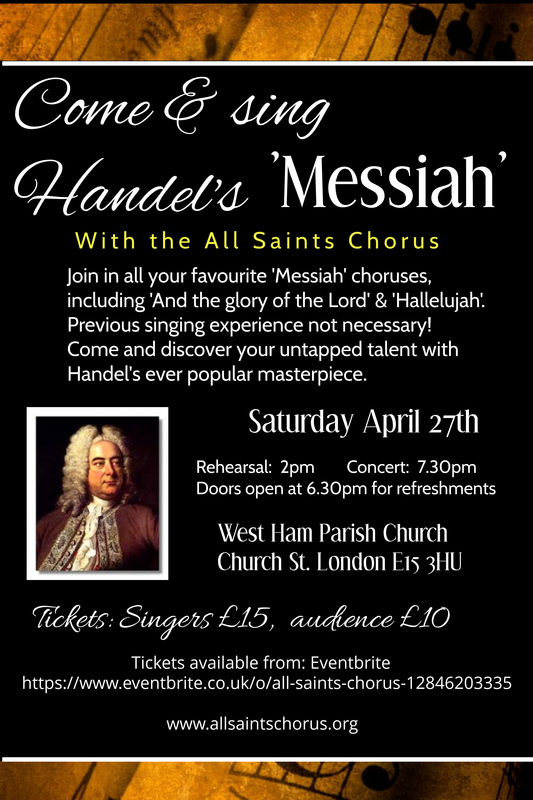 The weekend focuses the choir on the pieces that will feature in 2019, this year that meant the Mass in B Minor by Bach, Handel’s Messiah and The Requiem by Mozart. It was great to get to grips with these mammoth pieces and watch as confidence has grown throughout the choir. It is not all work!! There is plenty of time to relax, read the paper, chat and get to know one another better, and enjoy the fabulous countryside in East Sussex. In addition to walks, people spent Saturday afternoon visiting historic places in the area. Many just enjoyed the slower pace of life. Saturday night has been a traditional time to kick back and socialize. These have varied over the years, but this year featured both a live and a silent auction of goods and services donated by members of the choir. The variety was huge! From bread pudding to music lessons. This year there was particular focus on original artwork. Prices paid were equally varied, with the highest price being £1250. Altogether over £3000 was raised towards the cost of our 25th anniversary concert at Southwark Cathedral on 7 September. Don’t miss it! The choir wended there way back to the capital on Sunday afternoon, better prepared for the new concert season and next week! Watch out for news of our concerts and how to book tickets.